• Purples hang with other Purples. • Blues hang with Blues. • Talls hang with Talls. • Shorts hang with Shorts. But when Purple moves into the Blue Patch, Blue just isn’t sure how he feels about that! Fortunately, Blue’s Mom is around to point out how much Blue and his friends can learn from the wind, the rain, and the bees, who treat all flowers the same. Will Blue start to see things from a different lens? 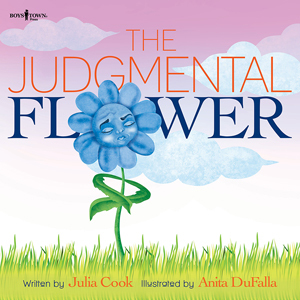 Find out in this timely and important tale teaching the skill of valuing the differences of others.